01 Prepare the pork by trimming the white sinew off the tenderloins, then chop each tenderloin into 3 pieces and flatten slightly. 02 In a large bowl mix together all the remaining ingredients. Before adding the pork to your marinade reserve 4 tbsp. Use this to baste the tenderloins with while cooking. 03 For best results marinate in the fridge for up to 24 hours. 04 Tip: Remove the pork from the fridge 30 minutes before you're due to cook it. This will help to take the chill off. This will allow it to come up to room temperature, giving more tender even results. 01 Prepare the barbecue for direct heat - approx. 220°C. 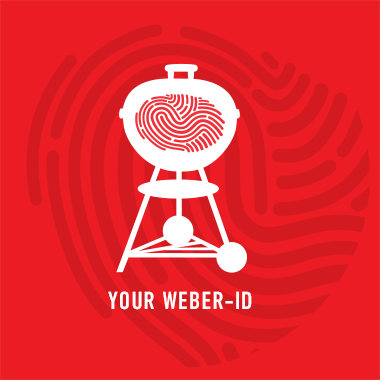 If using a charcoal barbecue, you will need 1 Weber Rapidfire Chimney Starter of lit briquettes. 02 Spray the barbecue cooking grate with non-stick spray and preheat for 5 minutes. 03 Cook the pork for 4 minutes then turn, basting the pork after turning. 04 Add the remaining glaze to a small drip tray and heat up until reduced and slightly thickened. 05 Cook for an additional 4 minutes or until the pork has reached its desired temperature. 06 Just as you take off the pork, give it a baste with the thickened glaze. 07 Allow to rest for 5 minutes. Then slice and serve.